Have you ever heard of bicycles and coffee going hand in hand? I sure haven’t, and I definitely don’t think this is a common pairing. A business that sells bicycles be known for its coffee too? Why yes, that seems odd to me. I love riding my bike around my neighborhood in the summer, and I’m an avid coffee drinker, but I never thought to put two and two together. 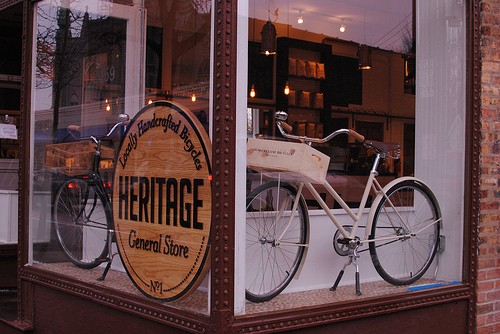 Yet, Heritage Bicycles General Store masters the unusual. This original bike café of Chicago’s affluent North Side is an experience that pairs an exposed bike shop of vintage-inspired bicycles with the Heritage brand of coffee roasts. Michael Salvatore, the owner of Heritage General Store, claims that bikes and coffee are universal. Bicycles and coffee are quite the combination, because no matter where in the world you are, both bikes and coffee will always be present. The store builds and sells their own locally handcrafted line of Heritage bicycles, promoting eco-friendly transportation. In this same open, welcoming atmosphere is where customers can order a coffee from a vast variety of options. From your new home office, as most coffee shops have become absorbed by the whirlwind that is work, you can watch the bike mechanics put on a show in the garage while you sip on your coffee. This unique environment is fueled by passion and care for the unique variety of creations that it serves. All entrepreneurs need to create a revenue model for their business. The revenue model identifies how a company will earn income and make profits. Obviously, this is a key factor that is crucial to the success of any business. It’s important for an entrepreneur to lay out the revenue model in their business model before actually opening any type of business. Even though I think it’s a bizarre pairing, selling both bicycles and coffee offers two different steady profit streams that are laid out in the revenue model. 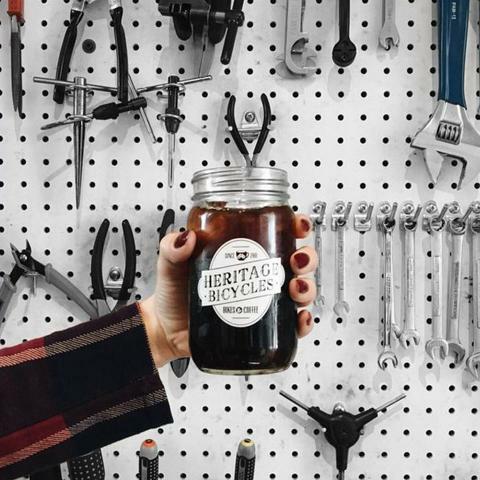 The Heritage General Store runs on the unit sales revenue model, measuring the amount of revenue generated by the individual number of cups of coffee and the individual number of bicycles sold. This is the unit sales of physical goods. 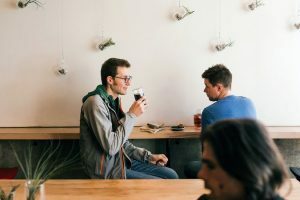 The idea behind the unit sales model, which is a common model among retail businesses like coffee shops, is that revenue is earned when a product is sold directly to the end customer. That said, there are countless revenue models that keep a business floating and allow it to flourish. The choice is up to you as an entrepreneur to decide which revenue model you want to run your business with. 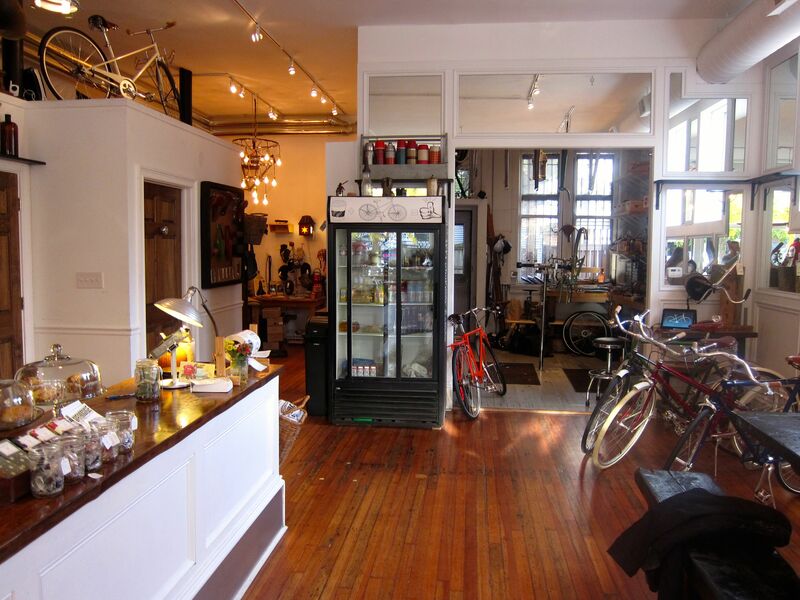 As a way to keep loyal customers coming back for more and to create a constant flow of revenue, the general store will even bike fix a flat while a customer waits, and they will offer the customer a cup of coffee for free. They have mastered the art of high customer satisfaction. 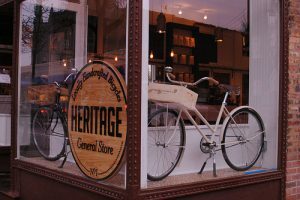 Heritage Bicycles General Store is a café that brings the unlikely pair of bicycles and coffee together in a way that generates revenue through a creative atmosphere. HotBlack Coffee is redefining the ways of the classic coffee shop. You expect a coffee shop to offer free Wi-Fi, right? It’s the obvious way of the world. I always journey to coffee shops with my homework, expecting free Wi-Fi to connect me to my digital world of education. Most coffee shops are crowded with faces absorbed in the light of their laptops. Well, not in HotBlack Coffee. It’s changing the way coffee shops work. The environment of HotBlack Coffee runs off of socialization. 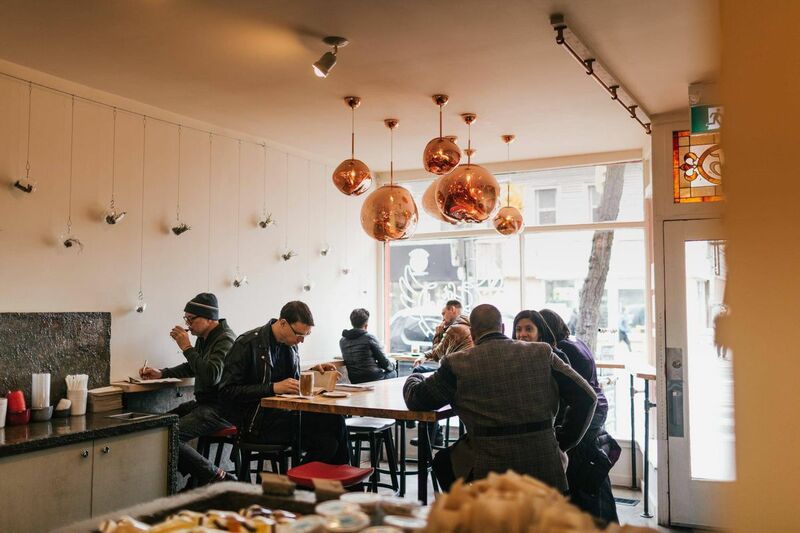 HotBlack Coffee, a café in downtown Toronto, refuses to offer free Wi-Fi to its customers. This is definitely an environment I’m not used to. Any coffee shop I explore is filled with students and workers alike head deep in their work. Instead, it wants to create a social vibe of interaction and communication. The coffee shop wants to be surrounded by customers talking to one another. It even purposefully constructed some small tables to make it almost impossible to create makeshift offices. HotBlack Coffee doesn’t want to be an antisocial space of office cubicles. It completely disregards the trend of many chain coffee shops that are equipped with drive thru windows to offer fast service for customers on-the-go. This café is trying to delve away from the digital world just long enough for customers to enjoy a cup of coffee. Jimson Bienenstock, one of the two owners of HotBlack Coffee, traveled to endless cities throughout Europe and North America. He wanted to understand what coffee drinkers thought about cafes worldwide that don’t offer complimentary Wi-Fi to their customers before opening his own HotBlack Coffee, as entrepreneurship tells us to do. Entrepreneurship tells its innovators to do background research and pair it with endless questions answered by customers themselves. Asking questions to consumers through interviews is one of the most effective ways to identify and empathize with customer needs, and that’s exactly what Bienenstock did. Even observation alone through watching and listening can offer answers to inspiration and ideation. 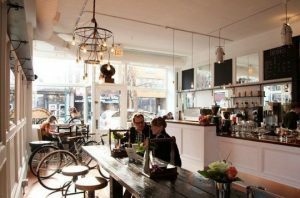 Bienenstock wanted to try something bold and new and join the minority group of coffee shops that lacked Wi-Fi. Therefore, he took to interviewing before he ventured into this feat. 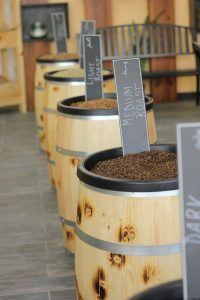 Exploration and interviews were key to HotBlack Coffee’s success, because an absence of Wi-Fi is a whole new world for coffee drinkers. Empathy is an essential skill to the practice of entrepreneurship. Empathy is all about understanding both how and why people do things. It dives into their physical and emotional needs, and it shows entrepreneurs how consumers think and feel. 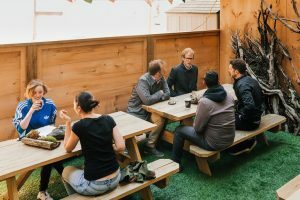 HotBlack Coffee wanted to work off the sociability that coffee creates, and empathy showed Bienenstock that digital technology was blocking human interaction and simple face-to-face communication. He wanted to use the absence of Wi-Fi as a way to solve the problem of technology taking over our world, even if it’s just for a little bit. HotBlack Coffee wanted to give a little life back to the world. In the heart of the French Quarter of New Orleans lies Café du Monde. 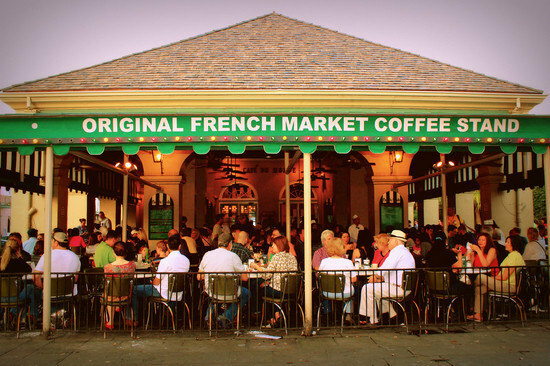 Café du Monde is the French Market coffee stand that creates the ultimate beignet. What pairs better with coffee than a warm beignet? For me, nothing beats this home of the beignet. A beignet is a squared piece of dough with no hole in the middle. Oh, and I can’t forget the powdered sugar that completely cakes corner to corner of the fried dough. I think it tastes just like sugary heaven! The Café du Monde coffee stand has stood since 1862. I was lucky enough to experience the one and only Café du Monde this past week. I flew to New Orleans over spring break with a group of other students from Muhlenberg to volunteer with the St. Bernard Project. Café du Monde was our first stop. Beignets scattered Bourbon Street. I could find them almost anywhere, yet it was the line for Café du Monde that constantly stretched through the French Quarter. With powdered sugar flying in every which way, the beignet was warmed to perfection, and I paired it with a hot chocolate. The more sugar, the better! Culture can definitely be the backbone of a coffee shop, but it doesn’t have to be the be-all and end-all. 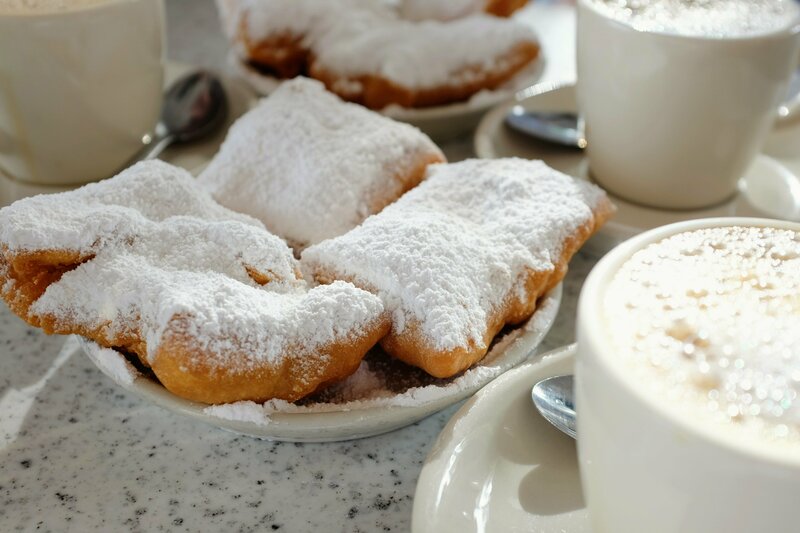 Café du Monde threw a little innovation into the mix. Beignets have come to be a staple of New Orleans. They’re easily a big piece of the heart of its culture. 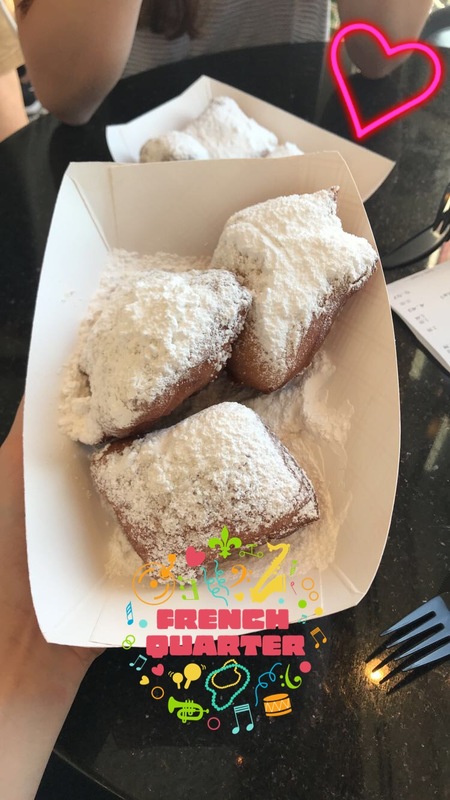 Yet, it is the innovation behind these beignets that sparked the reputation of the café. It was Café du Monde that brought these French-style doughnuts to New Orleans at a price that’s effortlessly affordable, $2.50 a pop. Café du Monde changes the way coffee shops are built, because these beignets make the café about more than just coffee. They define the coffee shop to its core. Innovation is one of the keys to entrepreneurship. The coffee stand brought beignets to a new market in the States. Innovation isn’t all about the creation of a new product, and beignets weren’t a new idea. Café du Monde just brought this idea to a new community with new consumers. With the number of coffee shops ever-increasing throughout the United States, a spark of innovation is what keeps startups afloat and separates one coffee shop from blurring with all the rest. Café du Monde paired innovation with opportunity, demonstrating that a successful entrepreneur should take advantage of any and all opportunities. Café du Monde took its secret recipe to Louisiana and served a new market with doughnuts galore. Entrepreneurship revolves around making a product that’s desirable, and Café du Monde does just that. It appeals directly to the aspect of desirability. People want to experience the culture of New Orleans, and they definitely want to eat an irresistibly sweet treat. Entrepreneurs have to pair what’s desirable with what’s feasible and viable, ideas that are both achievable and sustainable in the long term. Café du Monde knows how to take what’s desirable and viable in the long term, the classic staple of New Orleans, and create it over and over again. 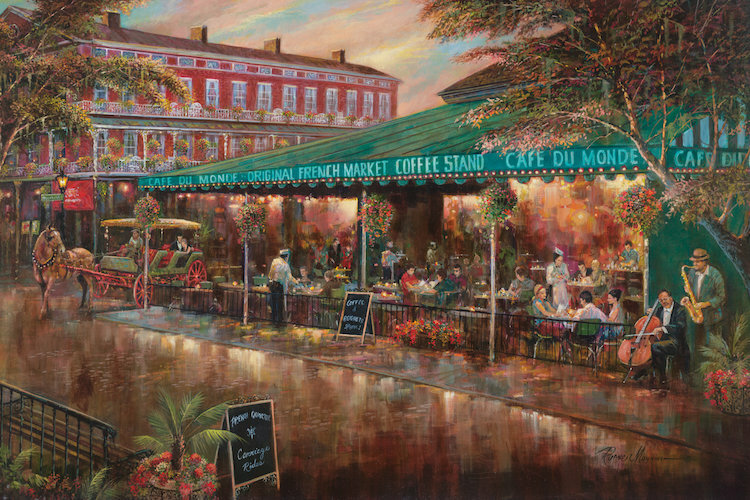 The hype behind Café du Monde all stemmed from just a touch of innovation. Coffee, so simple and stated, celebrates the diversity of cultures around the world. I love that the venture of coffee allows me to taste different cultures that unite the world. I like to experience different coffee shops of all shapes, sizes, and moods. I always walk to one of my new favorite coffee shops that’s right across the street from my dorm room. Delicious and convenient, what more could I ask for? Well actually, this new café even offers some pizazz by bringing a little culture to the table. They sell Vietnamese coffee, iced coffee infused with sweetened condensed milk. It takes a sweet turn on my usual iced coffee with just a pinch of cream. One startup that used culture to define its image beyond coffee is the Qahwah House in Dearborn, Michigan. Ibrahim Alhasbani grew up on a coffee farm near the capitol of Yemen, and he brought this coffee to America. Qahwah House sells Yemen coffee that’s imported straight from the Alhasbani farm. At Qahwah House, they curate coffee in exactly the same way it’s curated in Yemen. It’s finely ground and boiled in a raqwa pot to keep with the Yemeni culture. 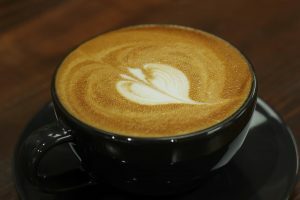 These types of specialty and gourmet coffees are the strongest growing aspect of the coffee shop industry. Alhasbani wants to share his culture with Americans in every way possible. After the revolution broke out in Yemen, Alhasbani wanted to show that Yemen has more to offer than just violence, war, and poverty. One of the keys to entrepreneurship is passion. It takes passion to ignite a fire in entrepreneurs. In order to have success, I think entrepreneurs have to connect passion with the impact they want to have on the world surrounding them. 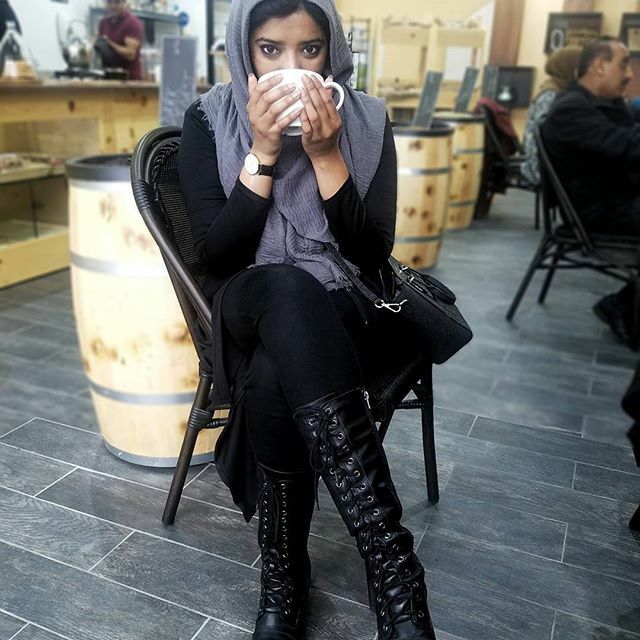 Alhasbani wants to create a craving for Yemen coffee in Dearborn and use this desire as a way to set up funding to help his family, his friends, and young children immigrate to the United States. He wants to spread cultural knowledge about Yemen that extends far beyond war and injustice. I think that entrepreneurship can also be unpredictable in every sense of the word. Business alone is unpredictable, and this holds true for Alhasbani. His main expenses for Qahwah House are fixed. He pays a set amount for rent and for credit card debt incurred from opening his café. To open a coffee shop, it costs anything from $10,000 to $50,000. However, the cost of importing coffee from his family’s farm in Yemen always fluctuates and tends to be overly expensive. I think it’s necessary to understand that many external factors are far out of your direct control, especially when these factors are coming from another country. You can’t plan for what’s going to happen, but it’s important to have a mindset that enables improvisation and dedication. Alhasbani’s passion makes him willing to put everything he has on the line. 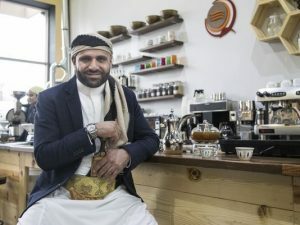 Rather than focus on what he can’t control, Alhasbani is driven by his hopes to introduce the delicacy of Yemeni coffee to Americans and to immigrate his family and friends to America. Ibrahim Alhasbani lets his passion take over. Do you like coffee? I know I do. The taste, the smell, the whole nine yards. Maybe you just drink a cup of coffee in the morning to get you moving and grooving. I sure do. Coffee shops are a staple all over the world. Whether big or small, in the city or in the suburbs, quaint or retro, they can be discovered across the globe. As of 2015, there were 31,490 coffee shops across the United States. That doesn’t mean any two are the same. Bitty and Beau’s Coffee defies any odds of similarity. 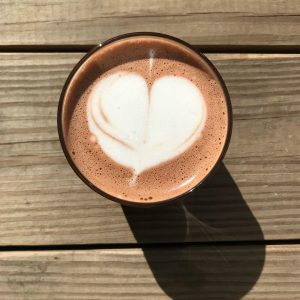 Bitty and Beau’s Coffee is an original coffee shop that opened in January 2016 in Wilmington, North Carolina. 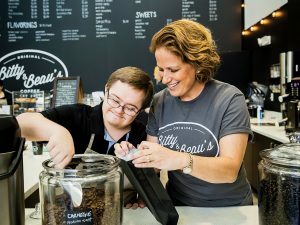 What makes Bitty and Beau’s so unique is that every employee is intellectually or developmentally disabled. 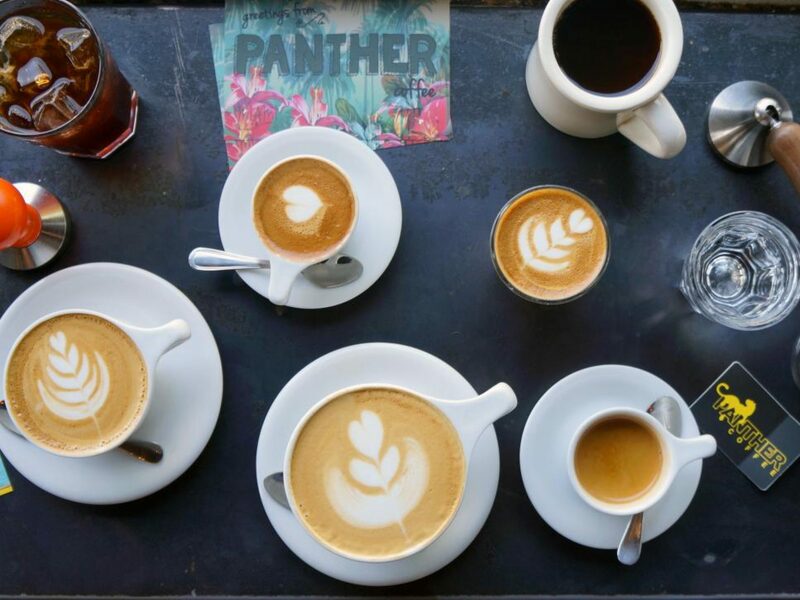 With a little common sense, passion, and creativity, coffee shops can thrive in their industry. This industry is growing, just at the slower predicted pace of 2.17 percent. This definitely doesn’t mean that the sale of coffee sold within coffee shops is slowing down. Even though this industry has started to slow down, it didn’t stop Amy Wright from opening a business. Wright, the owner of Bitty and Beau’s Coffee, thought of the idea for her coffee shop right at home. 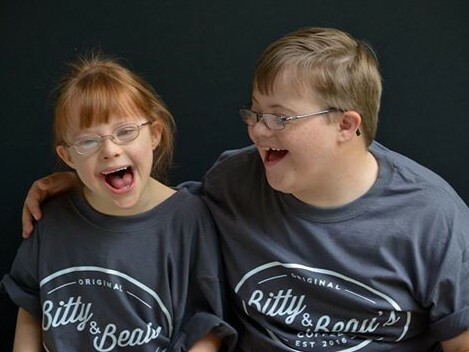 She has two children with Down Syndrome, Bitty, 7, and Beau, 12. She wanted her children to have an opportunity to work in a country where 80 percent of people that are intellectually or developmentally disabled are left unemployed. 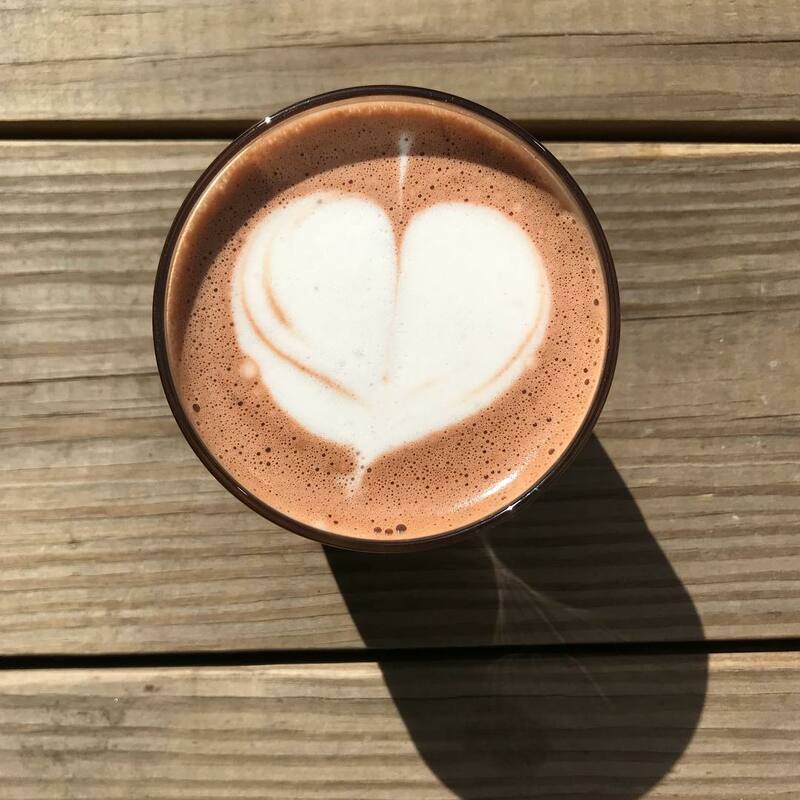 The mission statement behind Bitty and Beau’s is that “it’s more than a cup of coffee. It’s a human rights movement.” I think that entrepreneurship, as demonstrated by Wright’s coffee shop startup, is about trying to solve one of the world’s undeniable challenges in the simplest of ways. It might be one idea that’s been used over and over again, like coffee shops. They are here, there, and everywhere. 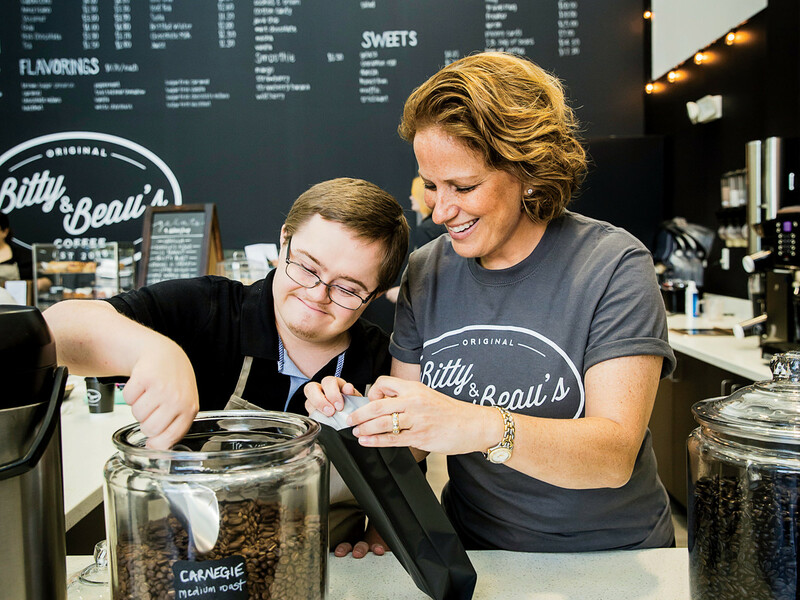 However, the genuine environment and unique customer service separates Bitty and Beau’s Coffee from other coffee shops. I think Bitty and Beau’s is an entrepreneurship feat that inspires the community around it by trying to change how the world works. I don’t think that entrepreneurs necessarily deal with risk, but instead, they deal with the chance that people won’t understand the opportunity for change they are channeling into their business. A change that can be made with something as simple as coffee. The new spark of creativity behind Bitty and Beau’s helps it to thrive. 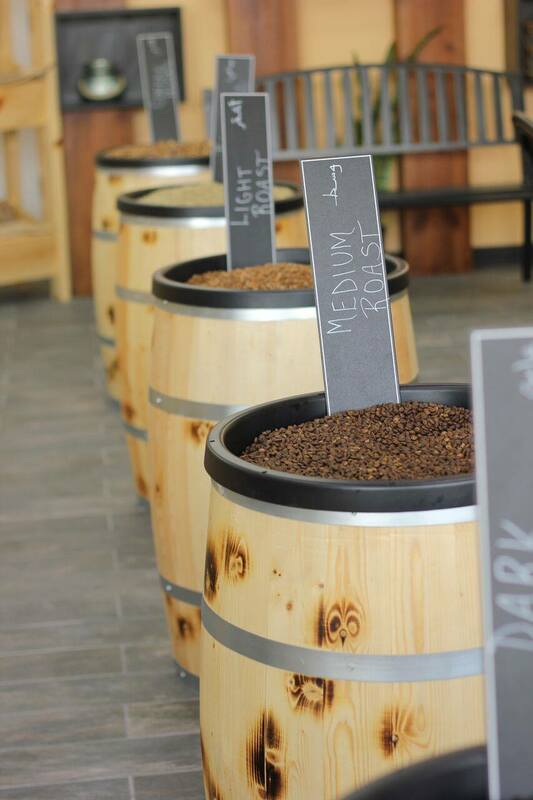 I would love to experience this one of a kind coffee world. Actually, it’s now two of a kind with the opening of a second location. It’s not just trying to make it in the business world. It’s trying to make a difference, and a difference it will make.